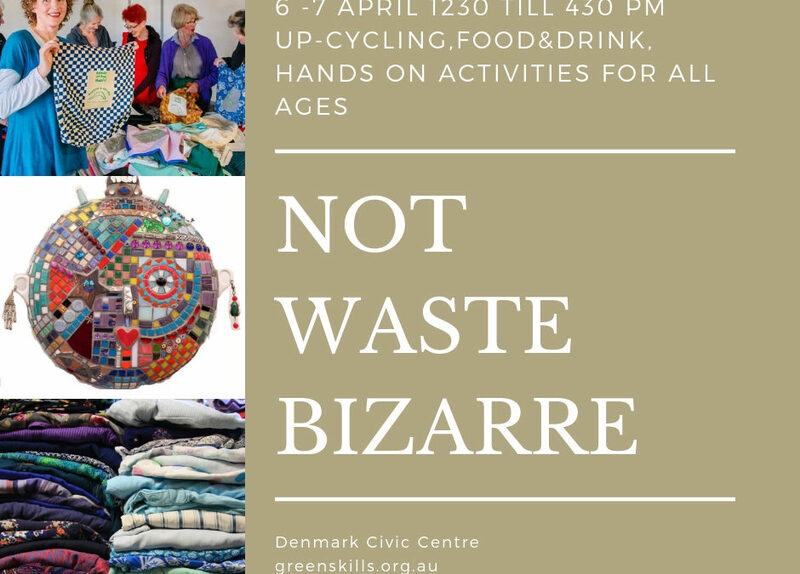 Come and enjoy the best of Denmark’s Up-cycling, Reuse, Repair. Gain some skills! Be inspired. Admire or even purchase some of the incredible art and craft on display. Or kick back and enjoy some food or drink. Freehand wines have a beautiful selection of wines for sale (and full sized glasses) while you listen to some music. Saturday at 1pm Digg’n the Jig will play an unplugged set and Sunday 2pm Leif Lebbing will perform some of his classic tunes. There is something for everyone and amazingly entry is free.